University International Club (UIC), AU, and the Danish Customs and Tax Administration, SKAT, again invites to an afternoon seminar explaining the Danish tax system, as it pertains to international PhD students and researchers, as well as other internationals subject to the Tax scheme for foreign researchers and highly-paid employees. The seminar is organized by the University International Club (UIC), AU in collaboration with the Danish Customs and Tax Administration, SKAT. 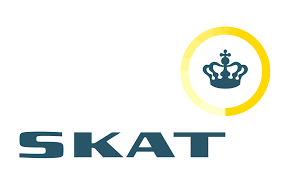 SKAT has increased its self-service capabilities and is putting greater emphasis on making it easier for people to search for information and contact possibilities at SKAT themselves – and in English. But the seminar is nevertheless essential, and gives you the opportunity to learn the ins and outs of the Danish tax system. During the first part of the seminar a tax adviser will give a general introduction to taxation in Denmark touching upon tax liability, important dates during the tax year, tax assessment notice and underpaid/overpaid tax etc. Tax scheme for foreign researchers and highly-paid employees: Introduction to the tax scheme, taxation under the scheme, leave etc. Deductions and taxation during stays abroad: Tax liability when staying abroad, agreements to avoid double taxation, deductions/allowances and taxation of grants etc. Wednesday 20 March 2019, 15:00 - 17:00 (3pm - 5pm). Registration deadline: Monday 18 March 2019 at noon.